The Women in Engineering Program provides programs specifically for the needs and interests of first-year women engineering students. First-year events and programs provide academic and peer support to inform students about engineering as a major and to connect students to the larger engineering community. 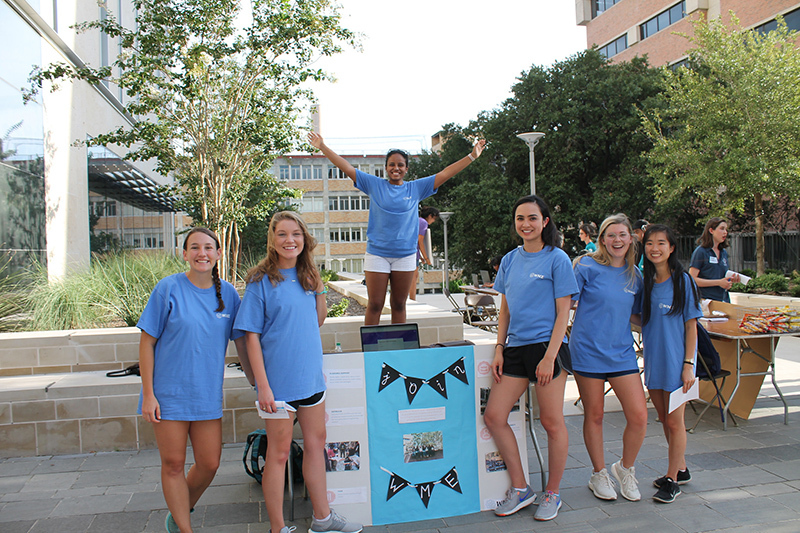 The WEP Living Learning Community in the Kinsolving Residence Hall provides first-year engineering women with the opportunity to live together in a supportive, residential community. WEP offers First-Year Interest Groups (FIGs) for all engineering majors. Students select their FIG during summer orientation, and WEP FIGs meet in the fall and spring semesters. Every fall and spring, WEP hosts welcome events to help new and returning students connect with each other, learn about student organizations and get excited about the upcoming semester. Chocolate Chats are informal gatherings for first-year engineering women students to meet with the WEP Peer Assistance Leaders (PALs) in their majors to get tips, hints and advice over chocolate.